Størrelse af denne forhåndsvisning: 800 × 534 pixels. Andre opløsninger: 320 × 213 pixels | 640 × 427 pixels | 1.024 × 683 pixels | 1.280 × 854 pixels | 2.991 × 1.995 pixels. 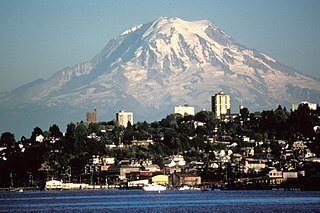 Mount Rainier over Tacoma, Washington, USA. "The maps, graphics, images, and text found on our website, unless stated otherwise, are within the Public Domain. You may download and use them. Credit back to the USGS/Cascades Volcano Observatory is appreciated."